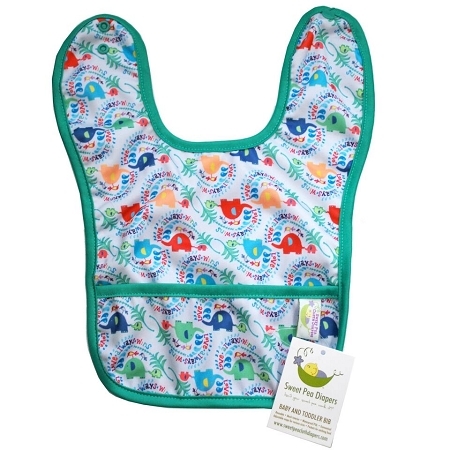 Sweet Pea Bibs have it all - waterpoof, adjustable and have a pocket to catch food! 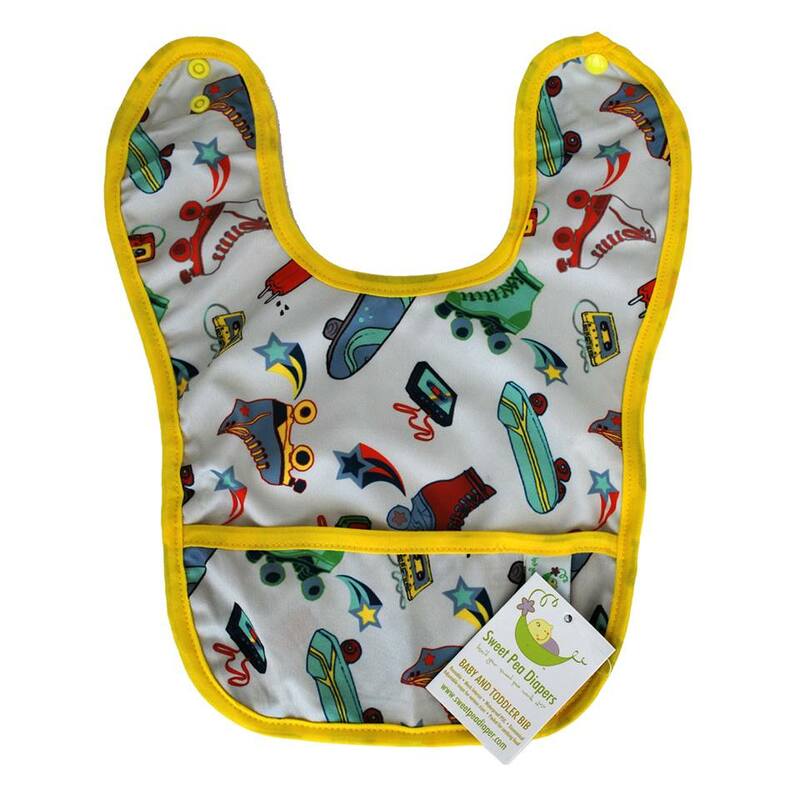 Sweet Pea Bibs – everything you’ve ever wanted in a bib! 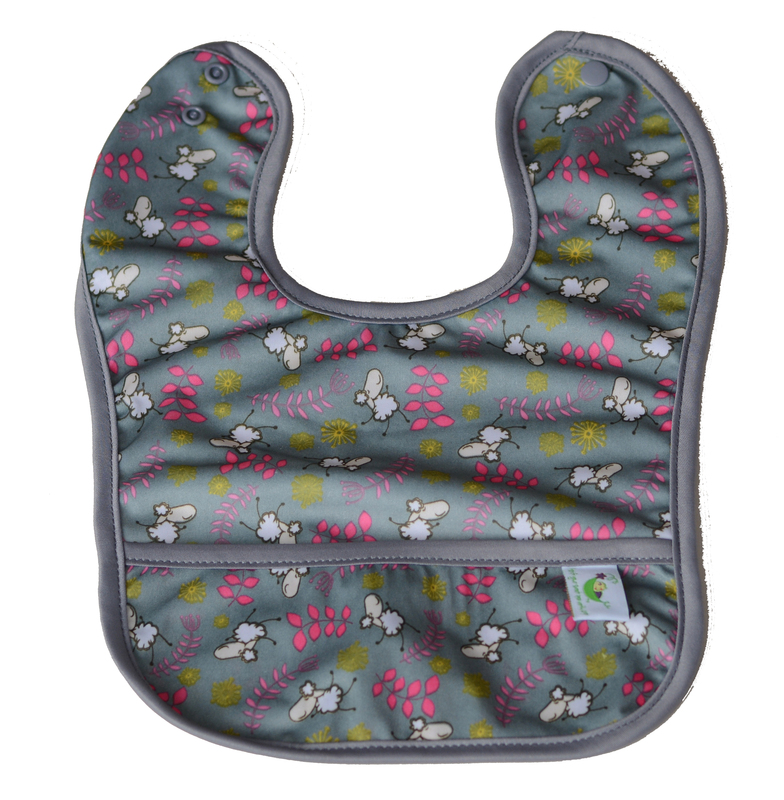 Sweet Pea Bibs are made from the same waterproof PUL that is used in Sweet Pea Diapers. 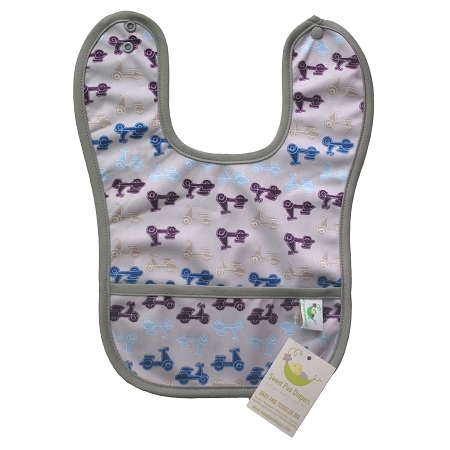 Sweet Pea Bibs are a must have for all babies! Hand wash or machine wash (do not use sanitize cycle) and line dry. They will dry quickly. Designed by an awesome mom! 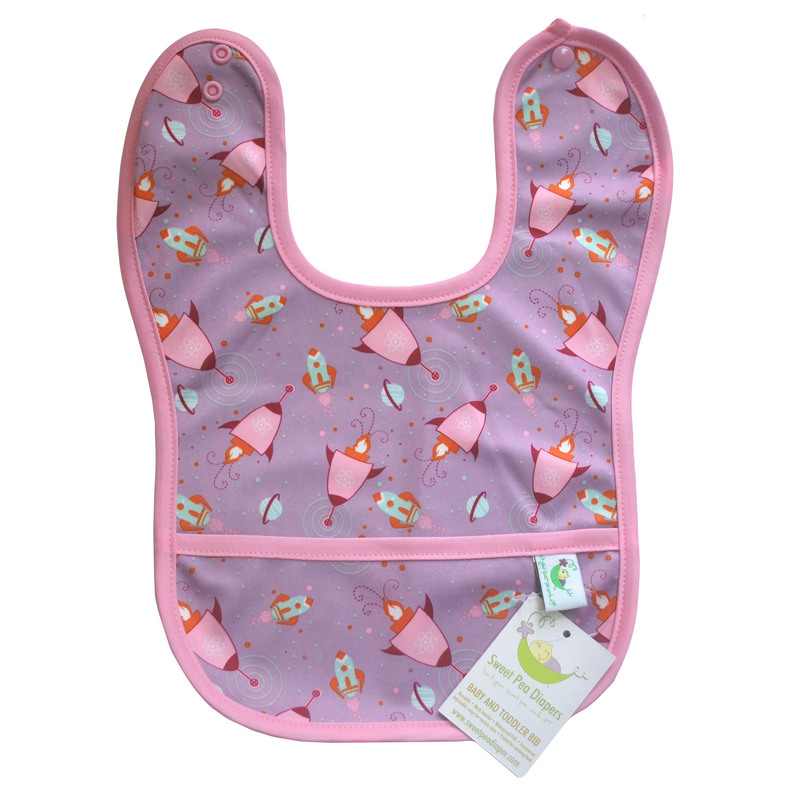 I can't get enough of sweet pea bibs! 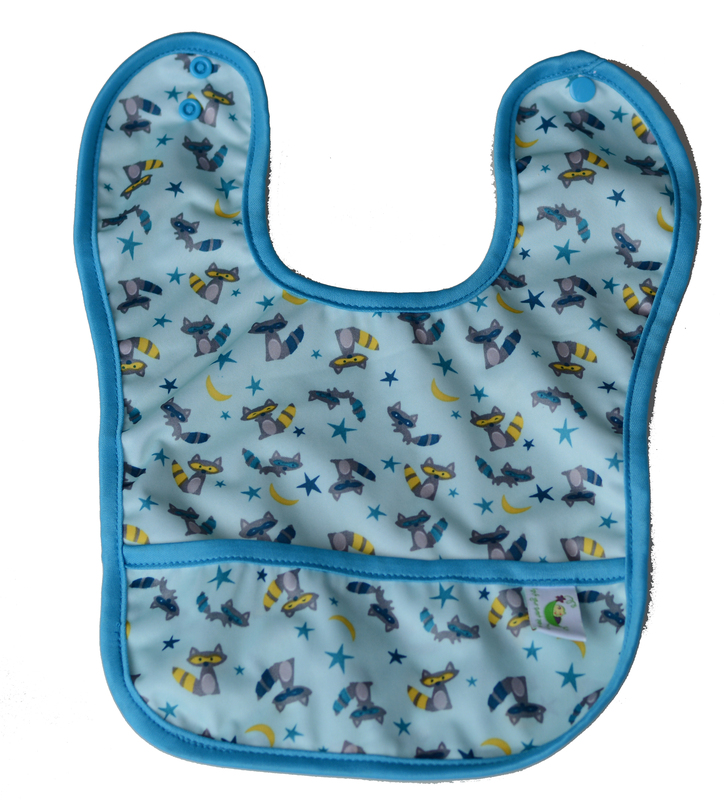 We've tried a number of different bibs and they all seem to irritate the back of my little one's neck. 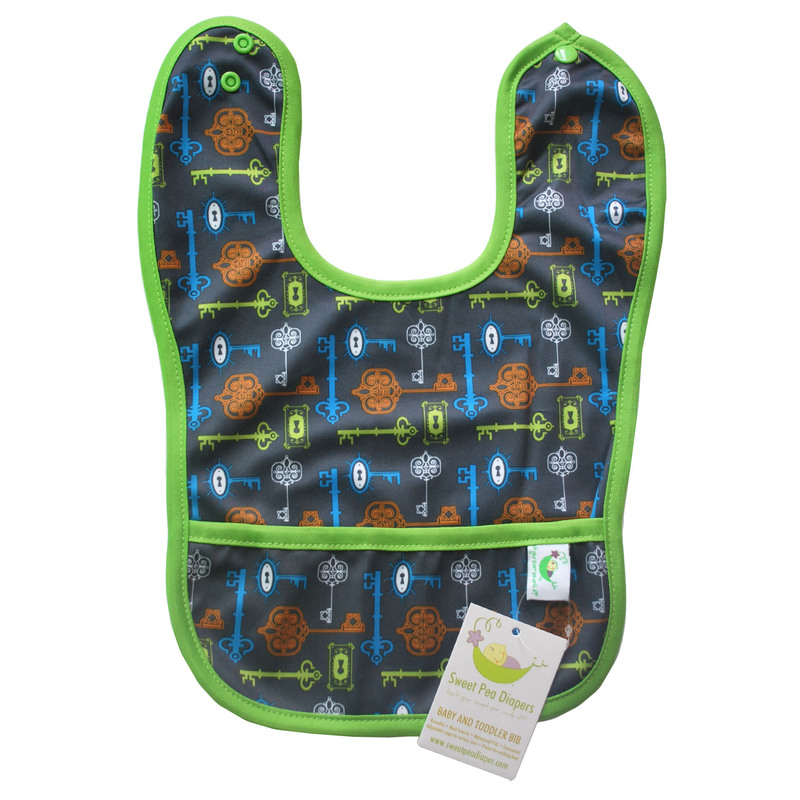 I do have to be careful not to catch his hair in the bib snap but once it's on, the pocket catches things nicely, it provides good coverage, and they wash up so easily. I love all the cute designs too! 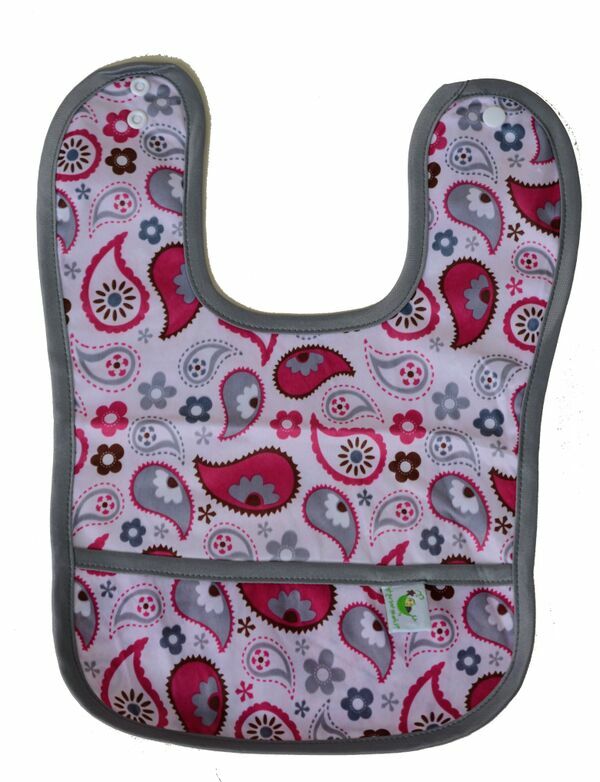 We love our sweet pea bibs. They are so soft and breathable due to the Ultra soft pul and the mesh backing. The two snaps allow for it to fit up through childhood. My toddler and infant can easily fit it on the smallest snap size. 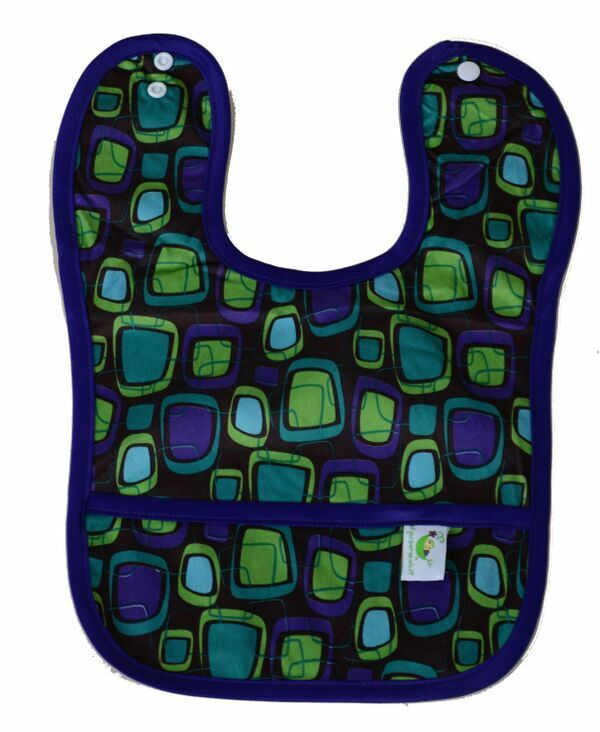 It's large so it covers most of their clothing to allow for less messes on clothing. 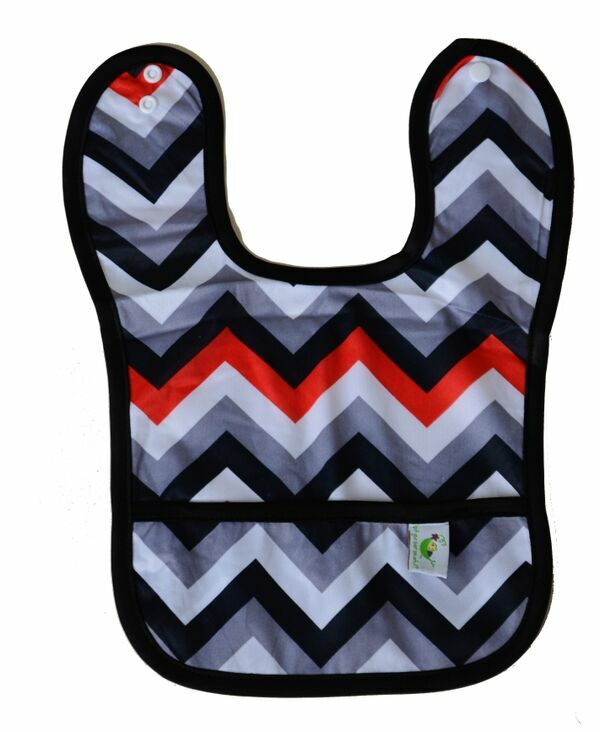 The pocket on the bib catches the particularly runny messes and crumbs. 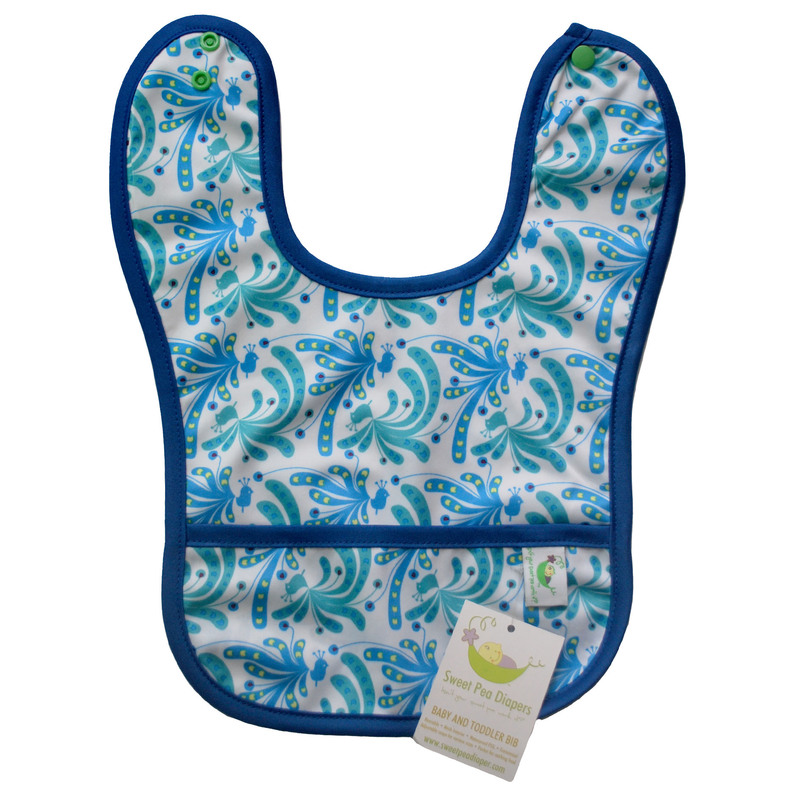 The sweet pea bib allows for the easiest clean up even after the most messy eater. 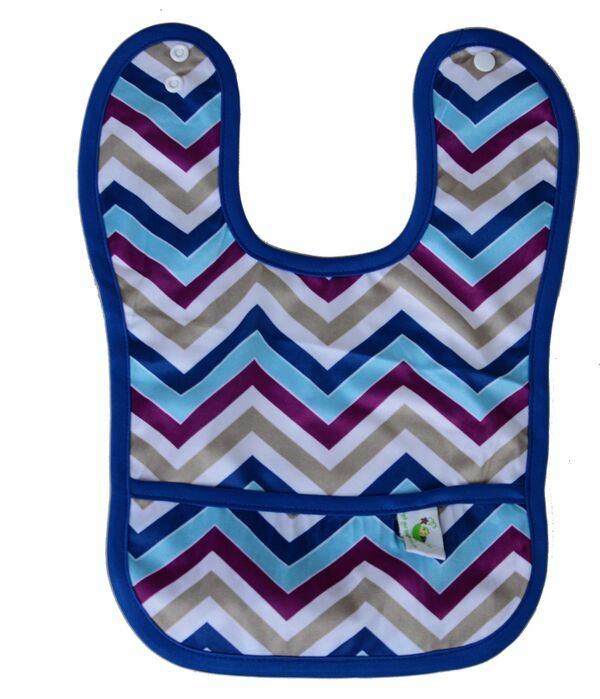 The prints are so adorable and I love that I can match my baby's diaper and bib.